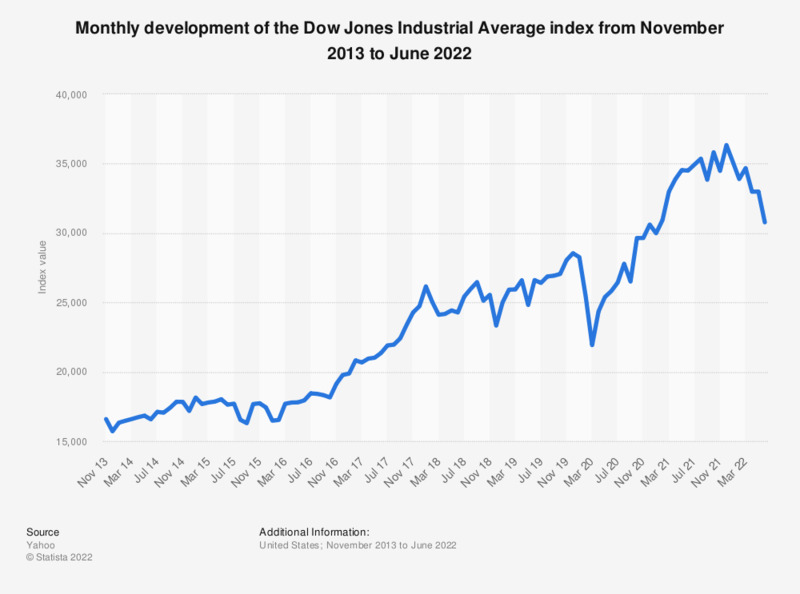 The statistic presents the monthly development of the Dow Jones Industrial Average index from March 2017 to March 2019. The value of the DJIA index amounted to 25,928.68 on March 29, 2019. The Dow Jones Industrial Average index is a price-weighted average of 30 of the largest American publicly traded companies on New York Stock Exchange and NASDAQ, including Goldman Sachs, IBM and Walt Disney. This index is considered to be a barometer of the state of the American economy. DJIA index was created in 1986 by Charles Dow. Along with the NASDAQ 100 and S&P 500 indices, it is amongst the most well-known and used stock indexes in the world. The year that the financial crisis unfolded, 2008, was one of the worst years of the Dow. It was also in 2008 that some of the largest ever recorded losses of the Dow Jones Index based on single-day points were registered. On September 29th of 2008, for instance, the Dow had a loss of 106.85 points, one of the largest single-day losses of all times. The best years in the history of the index still are 1915, when the index value increased by 81.66 percent in one year, and 1933, year when the index registered a growth of 63.74 percent. Everything On "The Dow Jones indices" in One Document: Edited and Divided into Handy Chapters. Including Detailed References. Statistics on "The Dow Jones indices"